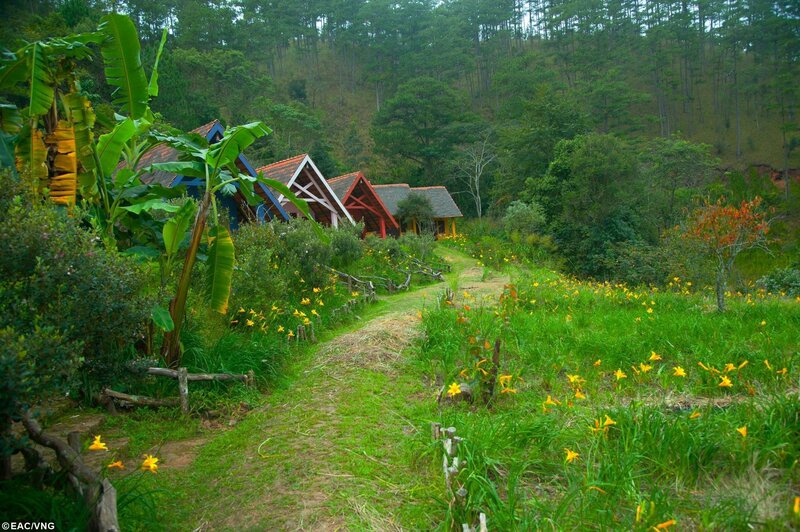 Every tourists choose to Dalat are all about space and the wonderful climate of the plateau city. But now, urban nature plateau is cool wrapped in the arms of this is in danger of turning into a giant box. The hills are cut flat, romantic lakes are polluted, gouged hills dig tin ore, the resort with services such as choking dissipated plains. 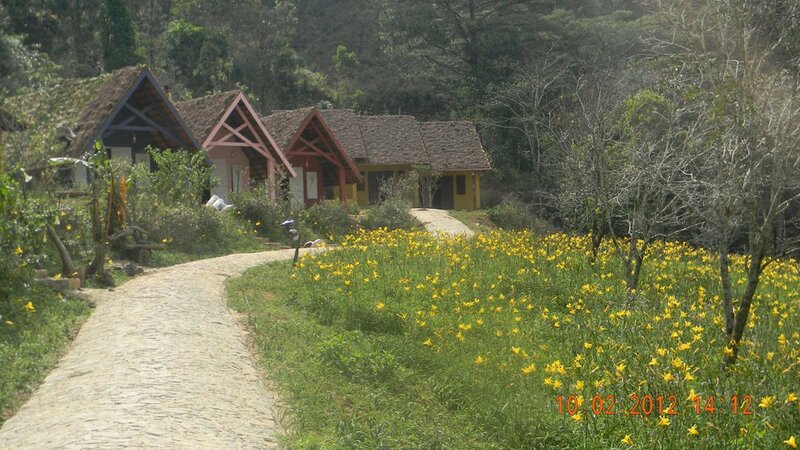 On the night bus to Dalat, we again heard of ecotourism destinations enormous. 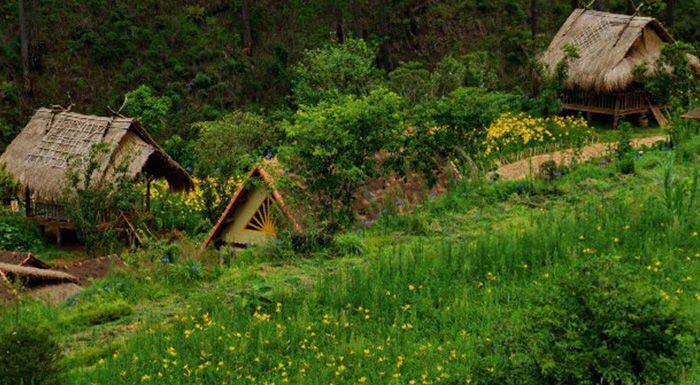 there is actually eco ecotourism not? The story included the modern tourist facilities like cable cars, carousel, monuments ... is how devour natural landscape. Use the tourist service facilities grotesque, fun games rooftop foreign coppy no different from poisoned space and climate of Dalat. According to rumors in the village resort tickle time we come here. On the winding road between LacDuong pristine pine forests. 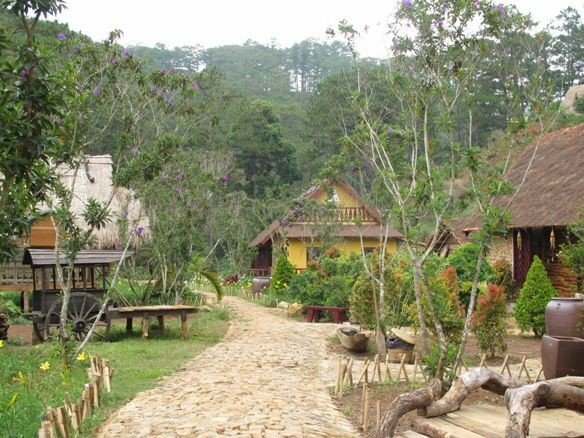 From the center of Da Lat to tickle village about twenty kilometers times, we who also wishes to see a type of tourism is not carved forest perforation, not cooking the climate. Enclosed in a valley sides between the hill, from the top looking down the slope, the first impression is the roof of the village every hardworking once covered an additional layer of dry pine needles. in this way, partly to hide their old village once so as not to disturb nature. Mid Valley is a lush lawn, a large lake, but it is important the human hand does not expose the grotesque decorative items. Take exit down stone paved village center is experiencing a gold needle flower forest dotted with purple flowers hydrangeas.